SDF Political Wing’s Delegation Visits Damascus For Negotiations With Assad Government 5 out of 5 based on 14 ratings. 14 user reviews. 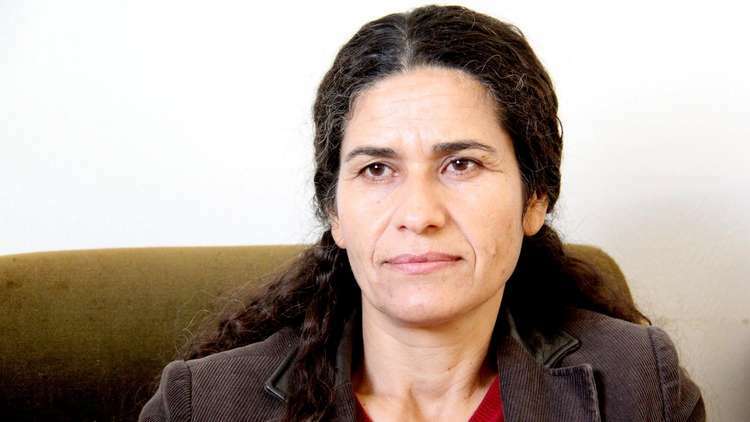 On July 27, a delegation of the Syrian Democratic Council (SDC) headed by Ilham Ehmed, a Co-Leader of the council, arrived Damascus to hold direct talks with the government of President Bashar al-Assad, according to the Kurdish Hawar News Agency (ANHA). The SDC is the political wing of the US-backed Syrian Democratic Forces, which control northeastern Syria. The ANHA didn’t reveal further information about the visit. However, the RT TV quoted Ehmed as saying that the delegation will discuss “military and political issues” with the Damascus government. The Russian new TV channel also reported that three unnamed senior Kurdish officials are accompanying Ehmed, along with Ibrahim al-Qaftan, the leader of the newly formed Future Syria Party (FSP). Earlier this month, Ehmed told the Kurdish Rudaw TV that the SDC will open offices in the Syria governorates of Hama, Homs, Lattakia and in the Syrian capital of Damascus. The co-leader of the SDC explained that such a step is a part of the ongoing efforts to reach a “democratic” solution for the crisis in Syria. Ehmad’s statement was not the only sign that the SDC is seeking better relations with the Damascus government. On July 26, Aldar Khalil, the co-president of the executive body of the Movement for a Democratic Society (TEV-DEM), said that Kurdish forces are ready to participate in any military operation of the Syrian Arab Army (SAA) in the northern governorate of Idlib if this brings them closer to retaking the Kurdish area of Afrin. The outcome of the ongoing talks between the SDC and the Damascus government may have a direct impact on the future of northeastern Syria, which is still suffering from the consequences of the ISIS occupation. Hahahaha. First it was the FSA, now the SDF. Assad make sure the heavy weapons end up in your inventory. Jewamerica has a bigger enemy, Erdogan the Great. Now its some sort of pastor theyre going to use as an excuse to sanction Turkey. Do those American and french bases stay in an alliance with assad?!?! Maybe they’ll agree to jointly attack Turkey so Kurds can have their Rojava on Turkish lands while Syria gets to keep all and even retake Antakya. could be a Hasbara troll. kurds are zionist friends of Israhell, so generally speaking only the non-thinking or zionists would support the kurds. And they have no clue that even though Saddam and Iran were both victims of zionist aggression, they both disliked each other. The goal is to get all Islamic nations cooperating to defeat Israhell. This “Saddam is a dictator and needs regime change or Iran is a dictator, I hate Shia” really does not help anyone. Once Erdogan and Assad get along and cooperate, Muslims would be stronger for the partnership. Erdogan was there to support the rebels to build something better from the bombs of jewamerica, to prevent some Sisi puppet from being installed who hates Palestinians and loves the jew like Sisi of Egypt. Iran and the Shia in Iraq were there to rebuild Iraq and make sure Iraq was not some colony of jewamerica. Nouri al maliki is the Assad of Iraq, blames jewamerica from the problems Washington creates and maliki wants an independent and free Iraq. Erdogan supporting the opposition worked against the jewamerica goals of all Muslims slaves of the jew with every government a puppet of Washington like Saudi Arabia. Riassumiamo. Non è passato molto tempo da quando i curdi, nella loro stupidità incrementata dagli USA, piuttosto che collaborare con il legittimo governo siriano hanno preferito farsi ammazzare e, peggio ancora, concedere alla turchia l’intera provincia di Afrin. Nello stesso tempo, sempre sobillati dagli USA sostenitori dei terroristi, hanno addirittura sottratto al legittimo governo i pozzi petroliferi a est dell’Eufrate. Solo adesso, dopo che hanno capito il tradimento USA, nella paura di essere lasciati soli dagli americani e di trovarsi contro sia l’esercito siriano SAA che i turchi, vengono a dire che vogliono negoziare. Per negoziare cosa? Mai la siria potrà essere uno stato federale curdo-rabo. Non solo la Turchia, ma anche l’Iran non lo permetteranno mai. Allora cosa hanno da negoziare? Una autonomia delle zone a maggioranza curda? Ma questa è una cosa che hanno sempre asuta con il governo Baat, sia cin Assad padre che con Assad figlio. Offrono aiuto militare all’esercito siriano per riprendersi la zona di Idlib? Non solo ai siriani questo aiuto non serve, ma se lo fornissero si metterebbero palsemente contro lo strapotere turco, con l’unico risultato di perdere definitivamente la provincia di Afrin. We summarize. It has not been a long time since the Kurds, in their stupidity augmented by the US, rather than cooperating with the legitimate Syrian government have preferred to be killed and, worse still, grant the entire province of Afrin to Turkey. At the same time, always stirred up by US terrorist supporters, they even removed the oil wells east of the Euphrates from their legitimate government. Only now, after they understand the US betrayal, in fear of being left alone by the Americans and being against both the Syrian army SAA and the Turks, they come to say that they want to negotiate. To negotiate what? Never will Syria be a federal Kurdish-Arab state. Not only Turkey, but also Iran will never allow it. So what do they have to negotiate? An autonomy of the majority Kurdish areas? But this is something that they always have with the Baat government, both with Assad father and Assad son. Do they offer military help to the Syrian army to recover the Idlib area? Not only to the Syrians this help does not need, but if they provided it they would put themselves against the Turkish superpower, with the sole result of permanently losing the province of Afrin. La unica cosa che i curdi possono richiedere è una riconciliazione onorevole in cambio dell’espulsione pacifica degli imperialisti americani e dei loro lacchè francesi. L’ulteriore motivo che dovrebbe convincere Assad a riconciliarsi non i curdi è la politica del partito Baat che, non essendo islamista integralista, ma aperta ad una società multireligiosa, non può che avvantaggiarsi dall’essere in pace con la componente curda laica e non sessuofoba contro le donne. The only thing the Kurds can request is an honorable reconciliation in exchange for the peaceful expulsion of the American imperialists and their French lackeys. The other reason that should convince Assad to reconcile with the Kurds is the politics of the Baat party, which, not being a fundamentalist Islamist, but open to a multireligious society, can only benefit from being at peace with the secular Kurd and not sexist against women. Assad is a fool if he goes against Idlib first. Idlib and Turkey is what scares the SDF, eliminate that threat to the kurds and the kurds will stay occupying 1/4 of Syria. The zionist kurds are supported by the terror group FUKUS. That is one terror group Assad does not want to go to war with. ISIS was relatively easy to defeat because they were simply funded, armed and trained by FUKUS. There are FUKUS terrorists mixed in with the SDF. So use and work with Erdogan to scare the kurds back into humanity and not associating with terrorists from Washington. Or if the Kurds don’t comply, get those in Idlib to defeat the FUKUS supporting kurds. No id deal with al nusra first. You have to liberate the people from these thugs. SDF can be beat by diplomacy, no guns needed. Assad has tried multiple times to get the kurds to negotiate. FUKUS whispers in the ears of the kurds to keep fighting and reisist Assad and the kurds listens to the terrorists in Washington. This developing news story is promising. Though Assad needs to scare the heck out of these kurds and get them to disarm. Say that if they don’t lay down their arms, Assad may agree to have Turkish military bases in the kurdish towns and villages after the civil war is over. Or say that Assad and Erdogan will fight together to defeat the kurds if they don’t give up. The Kurds will take whatever Assad offers, because the US has betrayed the Kurds, again. After afrin, the kurds got the message. What is in my dreams?? Please explain…i want to know your point of view as a turk. Whats wrong with taking out HTS right away? Its within the astana framework….turkey agreed….what am i missing here? Not saying that I agree, but interesting point. Already years ago I remember somebody saying that Assad was a fool to prioritize the jihadists over the Kurds: the Kurds had more potential for attracting large-scale US support, and thus were *more* dangerous to Syria than ISIS. It seems to have been most educational for the SDF when Turkey put the screws on in Afrin; if you want more of that, then this may not be the time to antagonize Ankara. Anyway, if the Idlib moderates attack the SAA as seems to be the plan, you’ll have to deal with that and this discussion becomes moot. Assad prioritized ISIS over the Kurds, because ISIS was committing monstrous atrocities, whereas the Kurds are more civilized and can be reasoned with. Eventually all the jihadists in Idlib will have to be put down, they are a threat to ordinary people in any country, you can’t cure their sickness.